PICTURED ABOVE (L-R): Michelle, Vesna, Dr McGowan, Stephen, Jo, Sean and Jan. The below article was supplied by the Logan Hospital Future Hospital Program (FHP) team and has been reproduced here with their permission. Jan Phillips, Executive Director and Jo Capewell, Director from our Centre for Leadership Excellence team recently visited the Logan Hospital Future Hospital Program (FHP) team. Following a presentation by the FHP executive, Jan and Jo were treated to a tour of some of the achievements realised through the program. "The commitment of the program team, staff and clinicians to engage and support the delivery of quality improvement initiatives is exciting," Jo said. "It is clear that the Logan Hospital Future Hospital program is enabling staff, at all levels, to work together to identify new and innovative ways of delivering patient care. These initiatives are clearly supporting the program's ambition to become recognised for innovation and excellence in the delivery of person-centred care, education and research, but more importantly for delivering safer and kinder care," she said. 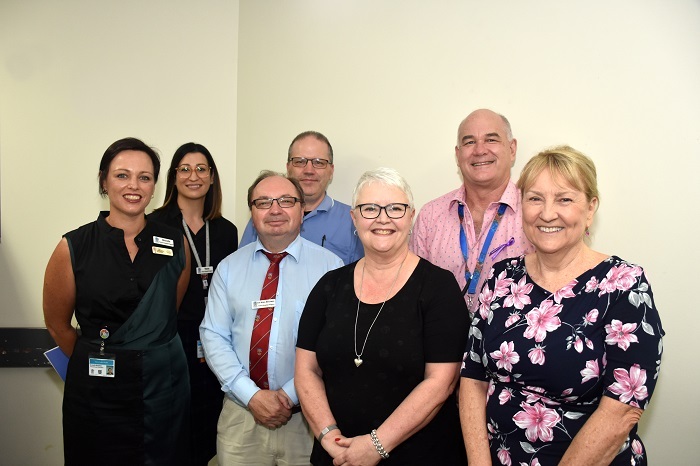 "It was my pleasure to accompany Clinical Excellence Queensland team Jan Phillips and Jo Capewell on a tour of our Excellence In Bedside Care pilot wards at Logan Hospital," Sean Birgan, Acting Director Nursing Midwifery Services Logan Bayside Health Network said. "Jan and Jo were extremely impressed with the improvements that Renal Dialysis and Ward 3A had accomplished as part of the Excellence In Bedside Care program." "As the project sponsor and a relatively new member to the Logan nursing midwifery team I can say that the enthusiasm of the clinical staff in these areas to showcase their work was electric. Michelle Reardon, Principal Improvement Officer in FHP, continues to demonstrate enthusiasm as she leads the roll-out of this program. "EiBC is a great example of how direct care nurses at Logan Hospital have input into changes that directly affect the delivery of care and work flows in line with our Pathway to Excellence designation," Sean said.